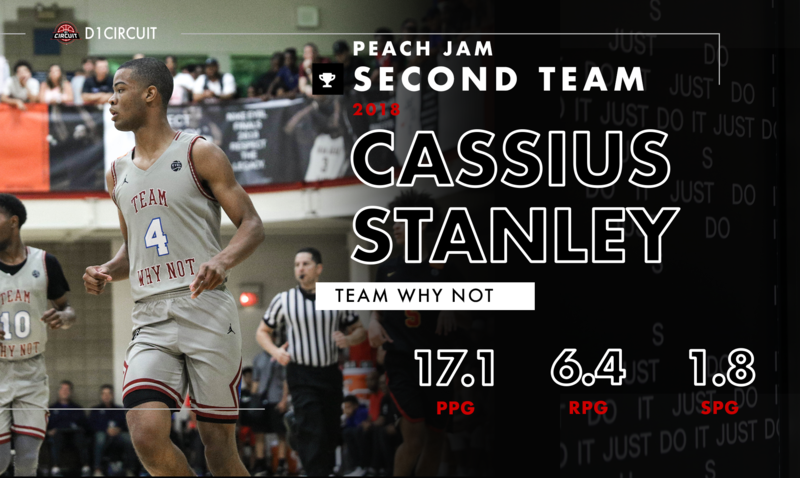 Cassius Stanley saved his best for last in the EYBL, turning in his most impressive individual session while leading upstart Team WhyNot to the Peach Jam Championship game. Stanley was impressive in a number of different areas, but his improved shooting percentages & rebounding output were most notable. Stanley has an impressive frame, is plenty athletic and has an evolving offensive arsenal. The 6-foot-6 combo forward will be back in action this winter for Sierra Canyon, and he will be looking to defend their CIF State Championship. 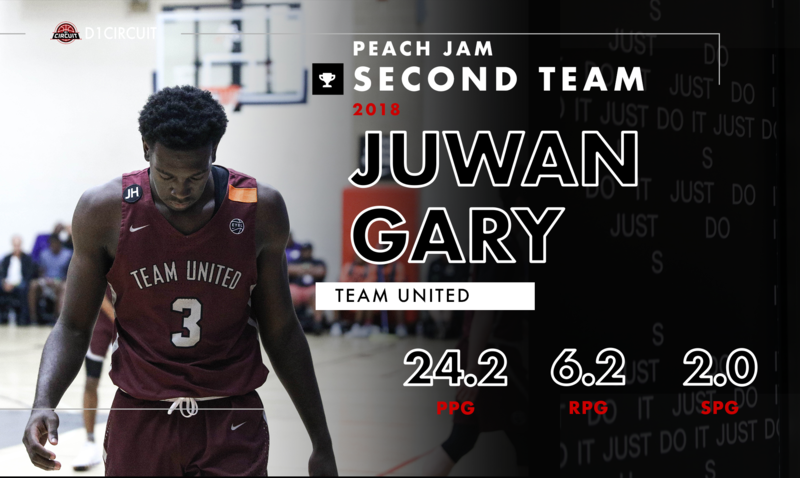 Team United made their first trip to Peach Jam since 2012, and Juwan Gary made sure it was memorable. The 6-foot-6 junior swingman led Team United to bracket play, turning in impressive averages of 24.2 points and 6.2 rebounds in six games. Gary is a natural offensive talent, but found ways to impact the game in other ways at Peach Jam, especially on the defensive end (2.0 SPG). Gary will star for Gray Collegiate during his senior season, and is the odds-on favorite to win South Carolina Mr. Basketball. 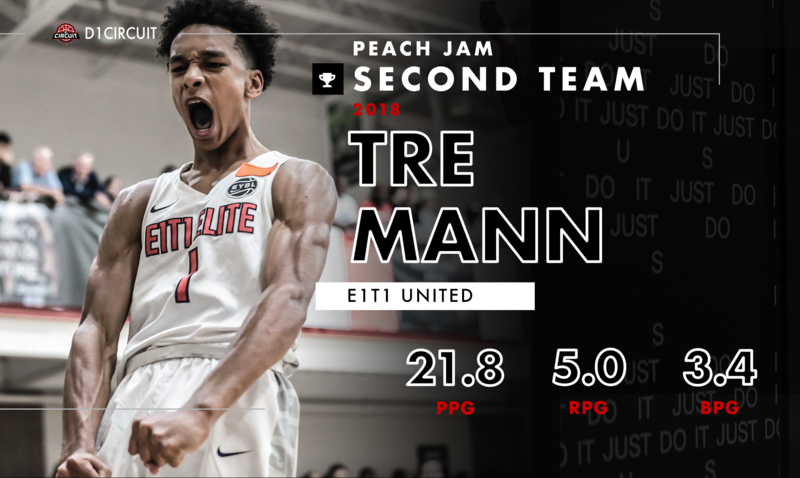 E1T1 struggled as a team at Peach Jam, but it was no fault of junior Tre Mann. 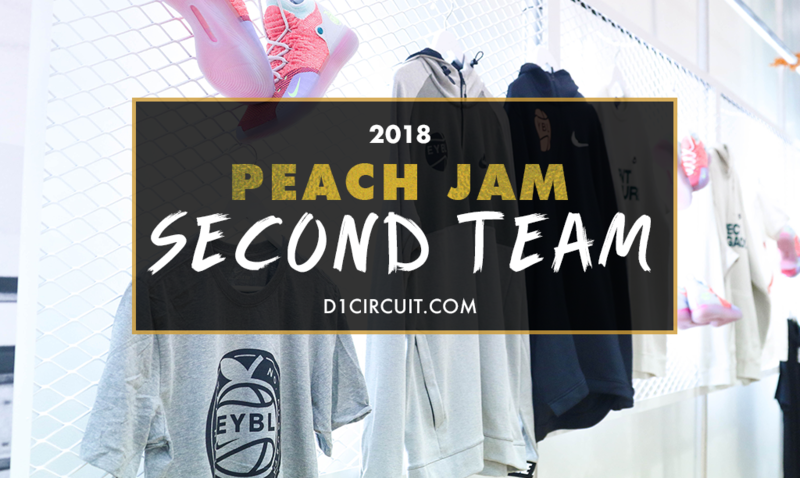 The 6-foot-4 combo guard shot a ridiculously-high percentage (56.5 FG%) during his five-game Peach Jam display, averaging 21.8 points per game. Mann has battled a nagging knee injury all spring, but looked to be back to 100% as he sliced and diced the competition on offense. Mann supplementary averages (5.0 RPG & 3.4 APG) indicate he's improving his all-around floor game, one that will be up for grabs nationally after recently Mann re-opened his recruitment. 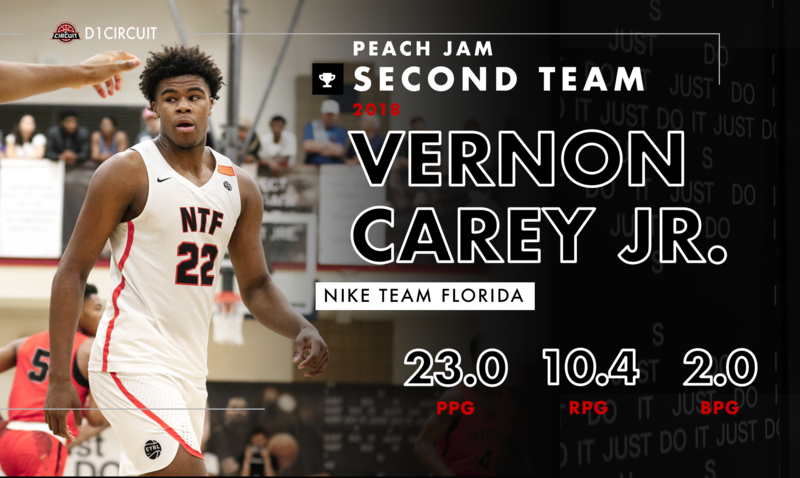 Vernon Carey has spent two seasons in the EYBL, and he closed out with a bang. The 6-foot-10 superstar shined for NTF, averaging 23 points and 10 rebounds over five pool play games. Carey is massive on the interior, but has the capacity to stretch the floor with his evolving offensive repertoire. Carey looks better every time we see him, and there is going to be a heated race for his eventual commitment. Carey will star for USchool in Fort Lauderdale during the high school season, and a timetable for his college commitment hasn't been announced as of yet. 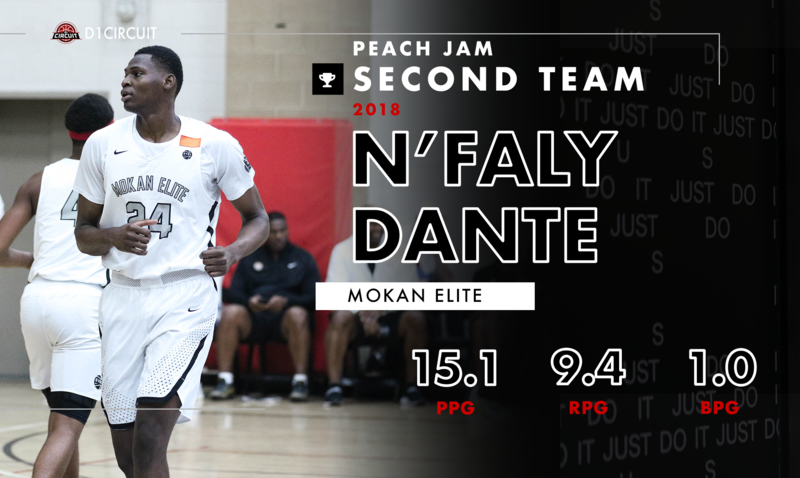 N'Faly Dante played stellar for MOKAN Elite, helping the Kansas-based Elite Youth Basketball League affiliate to the Final Four. Dante played a huge role in MOKAN's success, nearly averaging a double-double while playing a vital role at both ends of the floor. Dante's presence on defense is a gamechanger, and his ability to run the floor and rebound in traffic was showcased to it's full extend in North Augusta. Dante will be back next year, and will be on the short list for preseason league MVP.